This month last year, I became the happiest girl in the world when my best friend proposed to me in the middle of a Sushi Zushi restaurant. 2013 has been the craziest year of my life– planning a wedding, buying a home, finding my birth family and reuniting with them in Korea– I would never have survived any of it without my fiance, Holden, to keep me grounded. 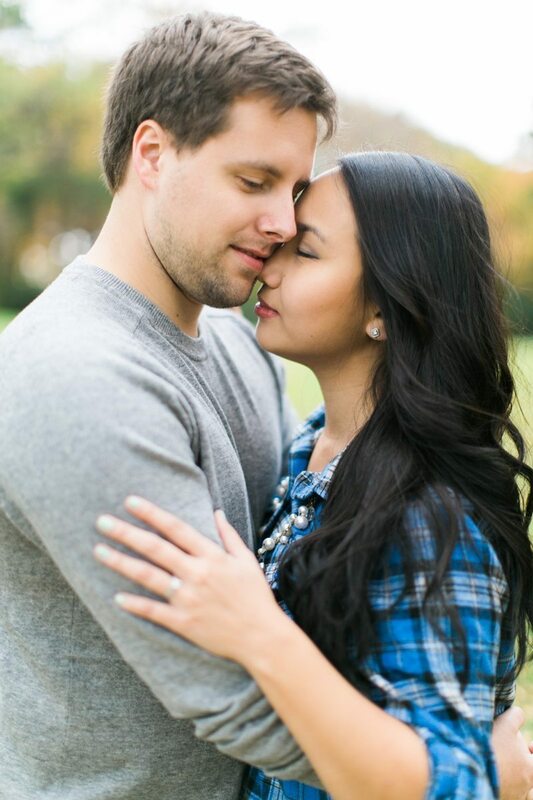 We recently had engagement photos taken by the super talented, Elisabeth Carol Photography. If you are in the market for a wedding photographer, or just adore looking at breathtaking photography, check her out. I see Holden every day, but sometimes in all the hustle and bustle of every day life, I take him for granted. Seeing our engagement photos and realizing that we will be married in less than 3 months, I am reminded that I truly am the luckiest. Y’all are too cute! The first pic was one of my favorites!! I’m SO excited for the wedding! P.S. I’m kind of obsessed with your blog. EC did a great job capturing you two happy (and two lucky) people. They’re all good, but AI think #4 is my favorite.